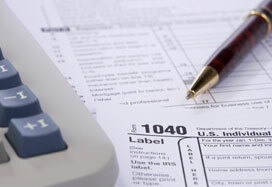 Appropriate tax planning includes protecting your interests and your assets. Without thoughtful planning, you risk exposing your assets, income, and other valuable rights to excessive taxation. When faced with difficult tax issues, to preserve your interests it is essential that you consult with a skilled tax lawyer. At Palmer Law Group LLC, we work with successful entrepreneurs, business owners, CPAs, attorneys and others seeking sophisticated personalized tax solutions. As your legal team, we work with your CPA, lawyers, and other professionals to evaluate your specific circumstances and develop a creative plan designed to fit your specific needs. We represent clients throughout and outside the United States. If you are merging two businesses, we can advise you on the most effective means to accomplish your goals, advise on ERISA, qualified retirement plants, and employee benefit plans. To ensure you are properly protected in any business venture, contact our office. Our goal is to help you preserve your assets by reducing your estate tax liability. Whether you are planning to grow your child's education fund, pay for an older relative to be in a nursing home, or fund your own retirement, we will work to put together a creative plan that meets your needs. Pledge paid over time using installments to stay under the applicable adjusted gross income limitations for deductible contributions. Gifts of appreciated securities and other assets at fair market value and avoid the capital gains tax on disposition. Charitable Lead Trust ("CLT") where the charity leads, i.e. gets money first, with the donor and/or other designated beneficiaries receiving a remainder. Charitable Remainder Trust ("CRT") where the charity gets the remaining balance after specified payments to the donor and/or other designated beneficiaries. Charitable Remainder Annuity Trust ("CRAT") which is a CRT with an annuity as the specified payments to the grantor and/or other designated beneficiaries. Charitable Remainder Unitrust which is a CRT with payments equal to a fixed percentage of its assets as the specified payments to the grantor and/or other designated beneficiaries. Private annuities with a current charitable component. Private Foundations, with or without a corresponding Family Office. Private Life Insurance Company, with or without a charitable component. Make sure you are taking advantage of the current tax laws. At Palmer Law Group LLC, we have a detailed understanding of the complicated and evolving laws, including the IRS Code. Let us use our knowledge to identify a creative solution to your domestic or foreign tax and business problems. Contact our office online or call us at 301-695-0700 or 800-732-7907 to schedule an initial consultation.